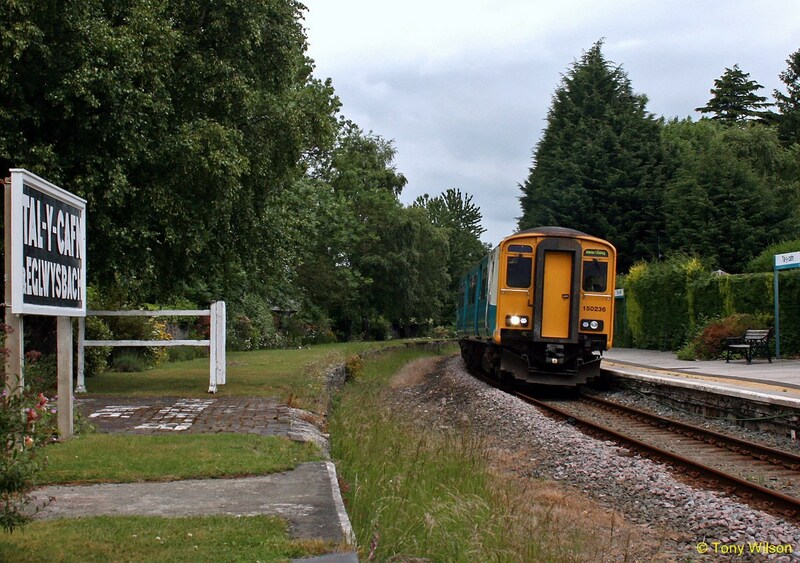 There is an "urgent need" for new trains on Wales' rail network, a committee of MPs has said. The Welsh Affairs Committee said people were tired of "old and cramped" trains provided by Arriva Trains Wales. The MPs' report says many problems were due to "a huge failure" to allow for more passengers when the current 15-year franchise was awarded in 2003. Power to decide who runs the next Wales and Borders franchise from 2018 is due to be transferred to Welsh ministers. The report estimates that passenger numbers have increased by approximately 75% since the franchise was first let. But it says there was no allowance for growth in passenger numbers and extra trains in the terms of the contract awarded to Arriva by the Strategic Rail Authority, a body scrapped in 2006. The committee was told by Arriva that the average age of the Wales and Borders fleet is about 27 years with some of the trains "approaching 4.5 million miles on the clock" - equivalent to travelling to the moon and back nine times. Though the service has met expected standards for punctuality, the committee heard customer satisfaction had fallen as a result of overcrowding and ageing trains. As some cross-border routes are included in the franchise, the MPs also recommend that a protocol is established allowing English passengers' concerns to be heard by Welsh ministers. Committee chairman, Conservative Monmouth MP David Davies, said: "The decision to let the 2003 franchise on the basis that there would be no growth in rail usage was a huge mistake. "It has meant that the investment that might have been expected has not been made, and rail users have had to endure the consequences of this. "Often this has meant not being able to get a seat, or that the trains have been dirty." He added: "As the franchise comes up for tender in 2018 it will be the Welsh Government who will have the responsibility to ensure there are improvements." The Welsh Government's Economy and Infrastructure Secretary Ken Skates said the current franchise was "not fit for purpose" but "following the timely transfer of functions promised we look forward to introducing our own vastly improved contract, service and system for rail users across Wales and the borders from 2018". "I welcome the recommendations set out by the committee which will inform our approach for the next franchise," he added. Arriva and three other firms are competing for the new contract.